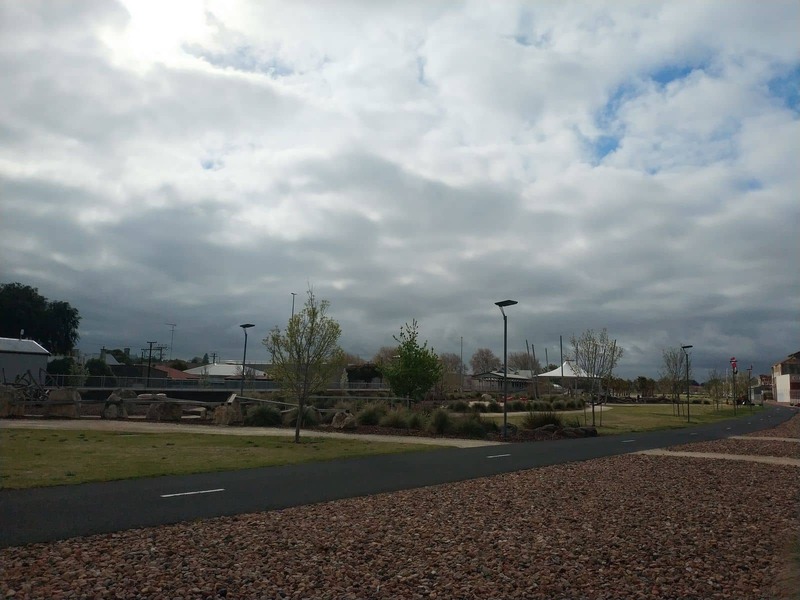 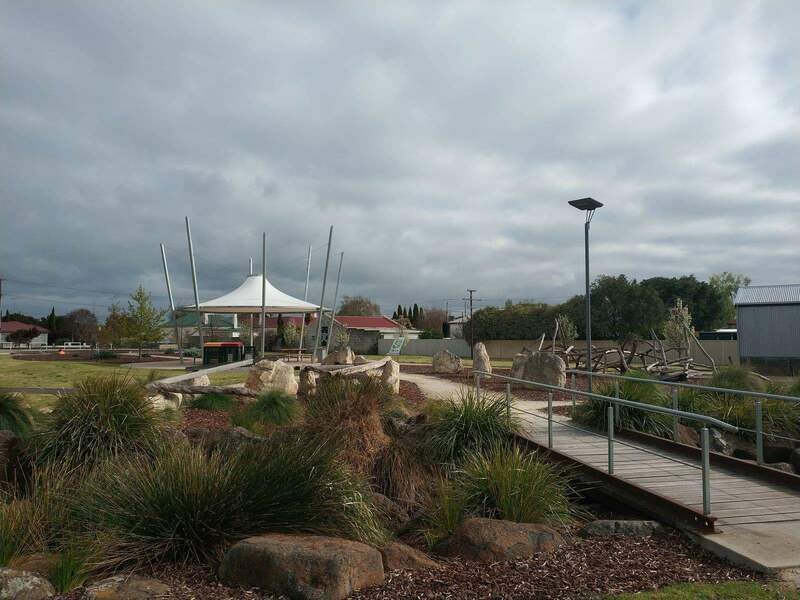 The Railway Lands Nature Play Area is a wonderful family recreational area in the heart of Mount Gambier. 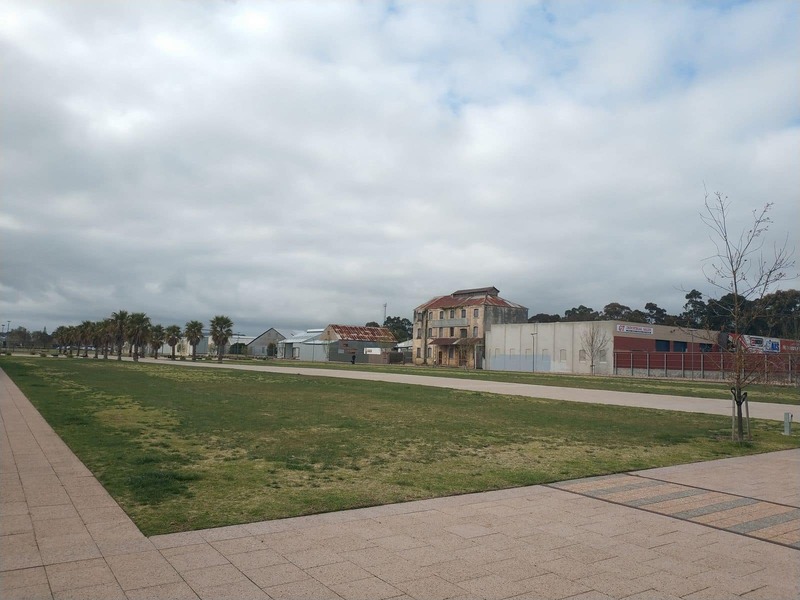 This public space is ideal for interactions with the community, but it is also important as it captures the essence of preserving the old rail lands across the city. 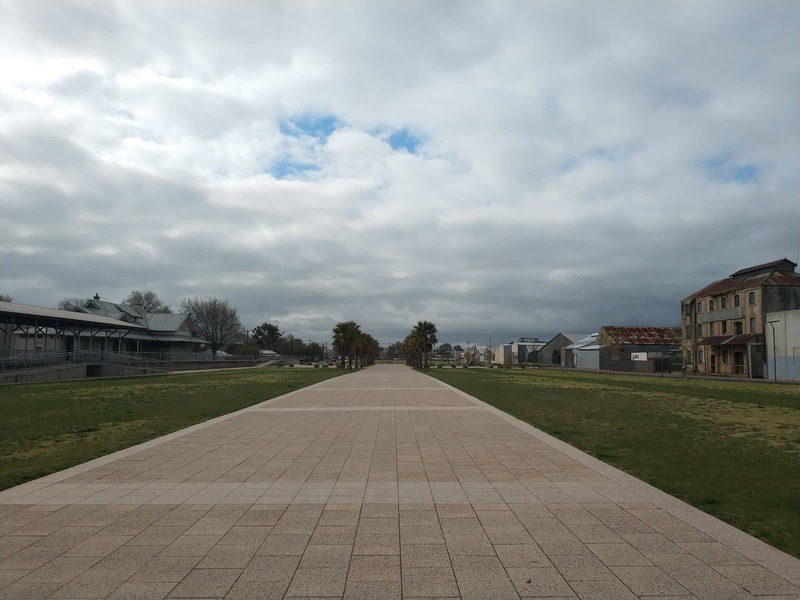 One of the things that stand out about this destination is how the old structures and used railway tracks have been incorporated into its overall design. 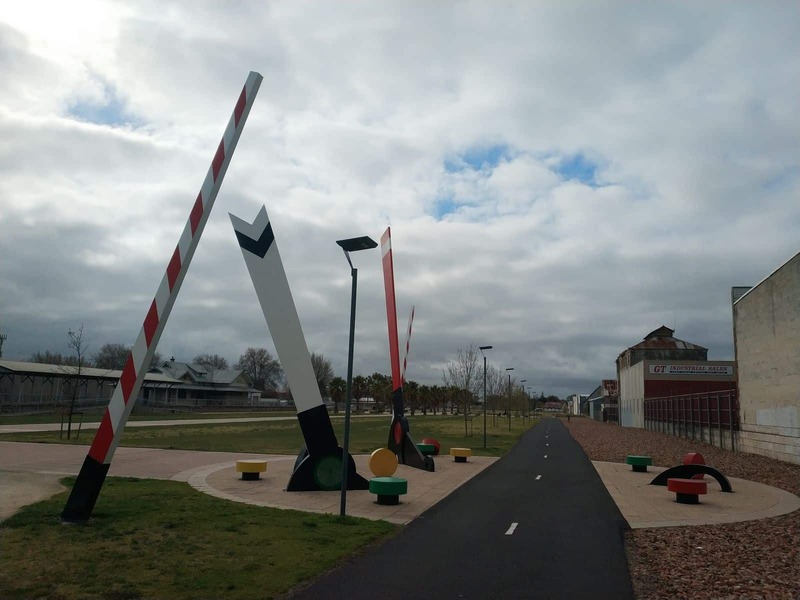 This dynamic space also features a number of sculptures across the facility. 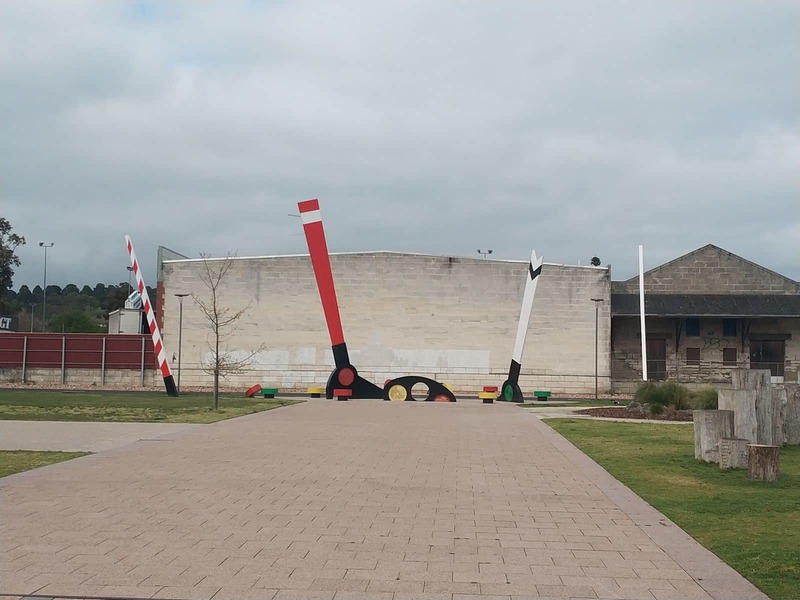 Look out for the stumpy tail lizard, a peculiar sculpture that will have art lovers taking a second look. 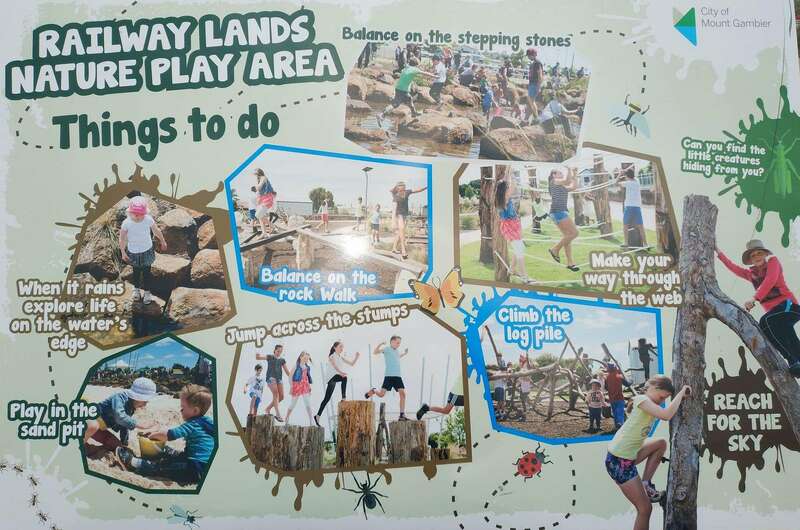 including those of the frog and wombat; the latter being one of Australia’s most well-loved native animals. 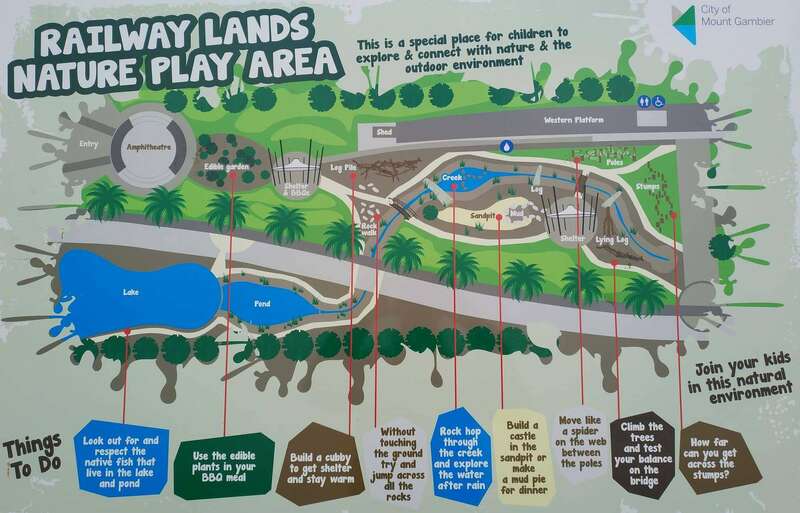 Unlike other modern playgrounds, the Railway Lands Nature Play Area takes allows children to enjoy the great outdoors. 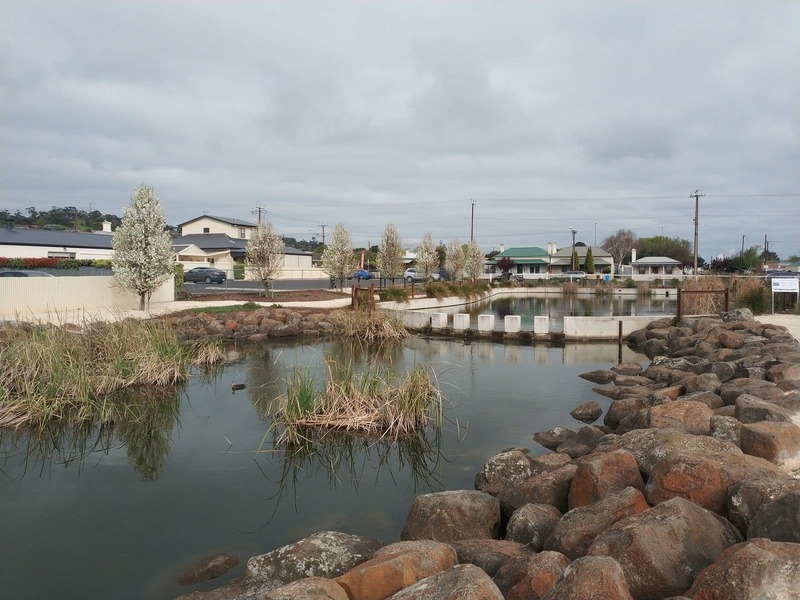 There are also numerous family-friendly recreational activities, such as barbecue areas, the pond, and a lush grassy area with native plants. 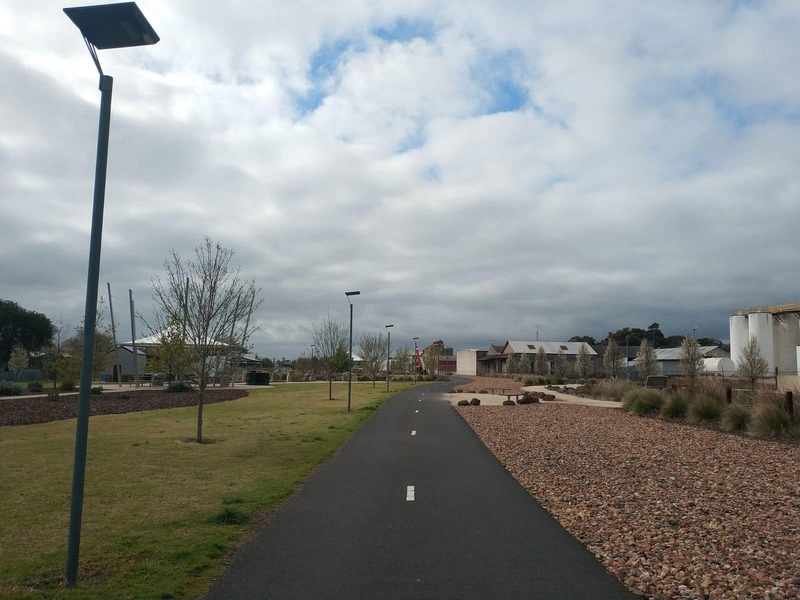 Part of the reason why the Railway Lands Nature Play Area was established was to create a space for the community to enjoy outdoor activities. 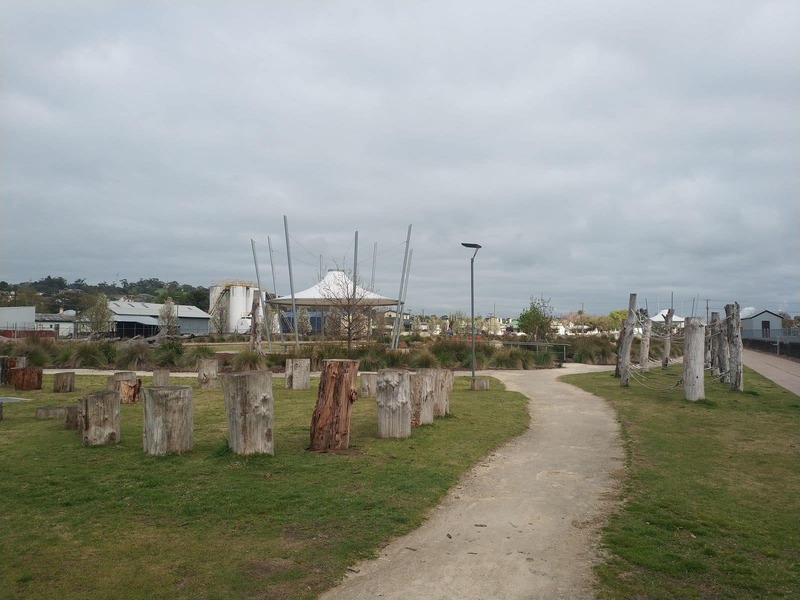 Depending on the time of your visit, look out for markets, artworks for sale, pop-up food stalls, concerts, and a range of community events held regularly on site. 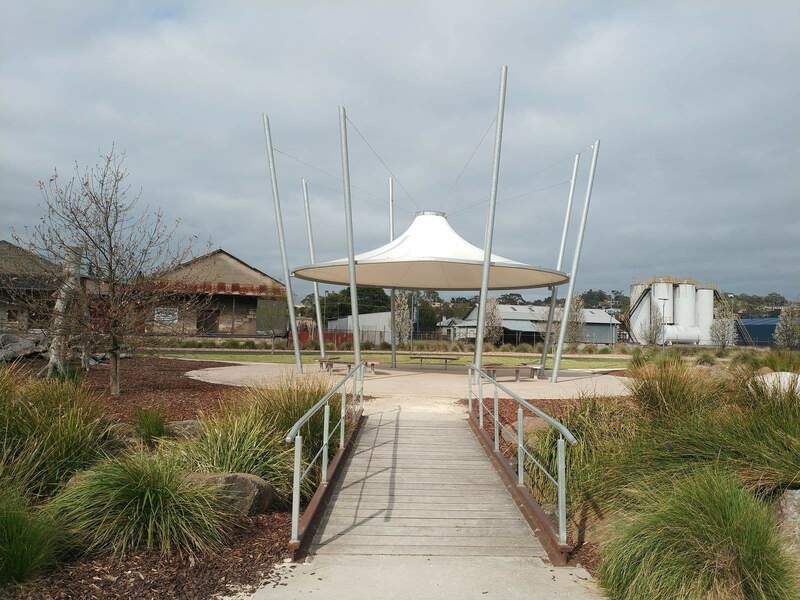 Additional amenities include an expansive events plaza, an amphitheatre, and an open grassland where visitors can unwind. 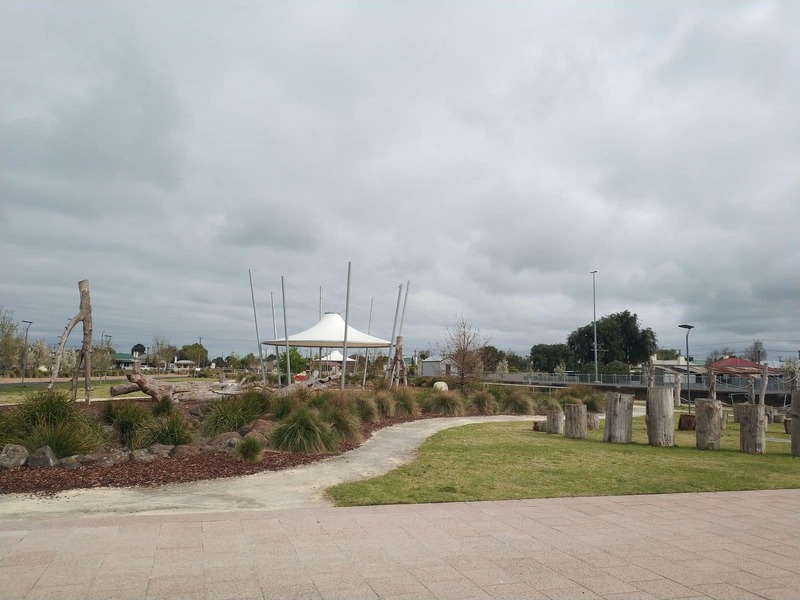 For treats and refreshments, visit the park cafe, or the nearby Wehl Street Homestyle bakery for delicious pastries. 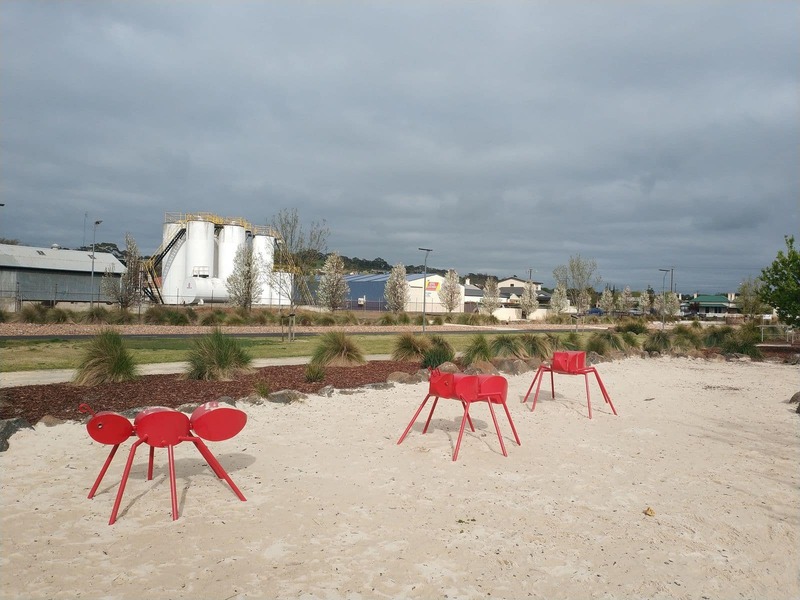 Picnics are also welcome at the play area. 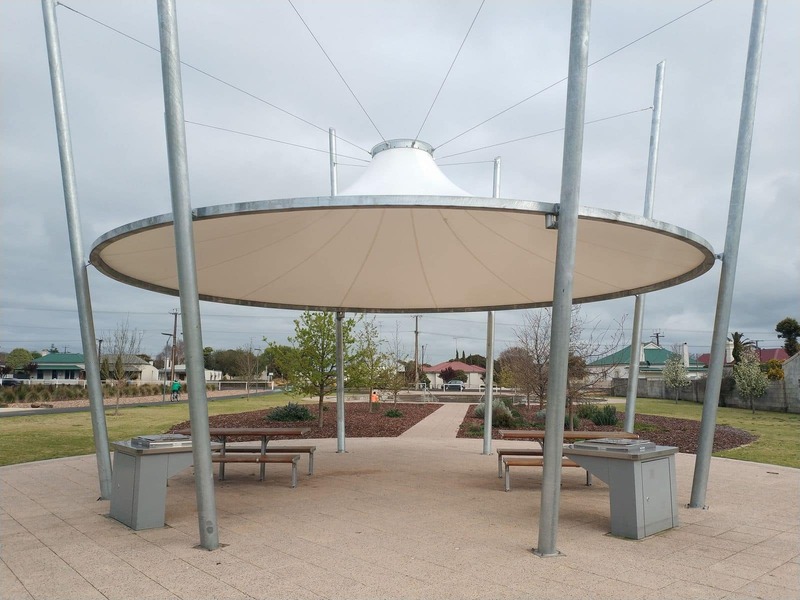 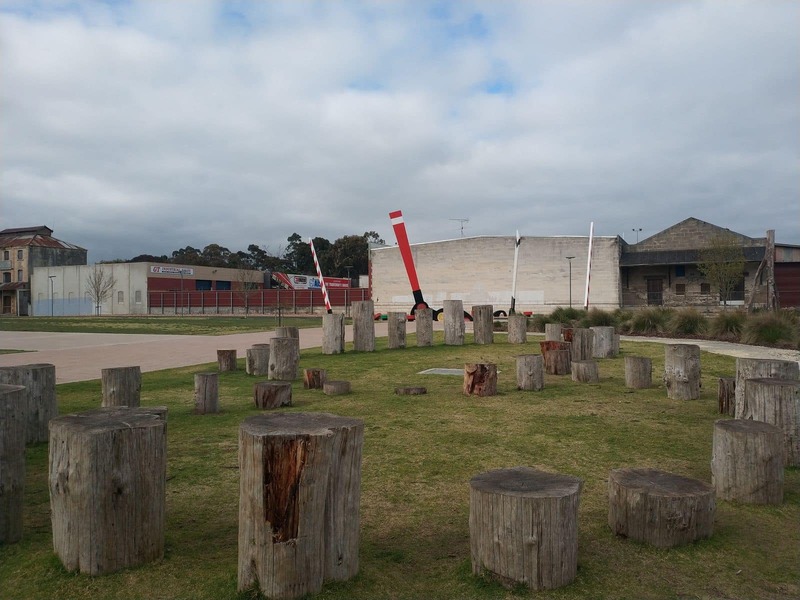 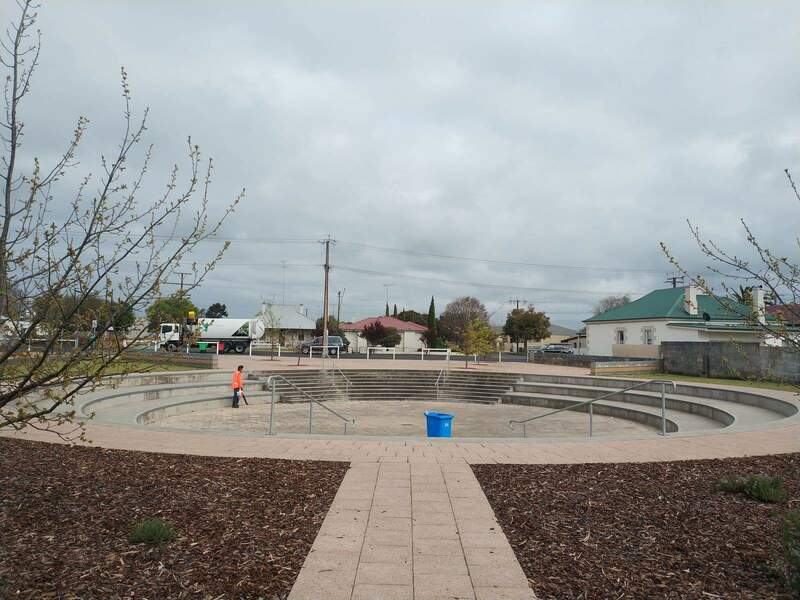 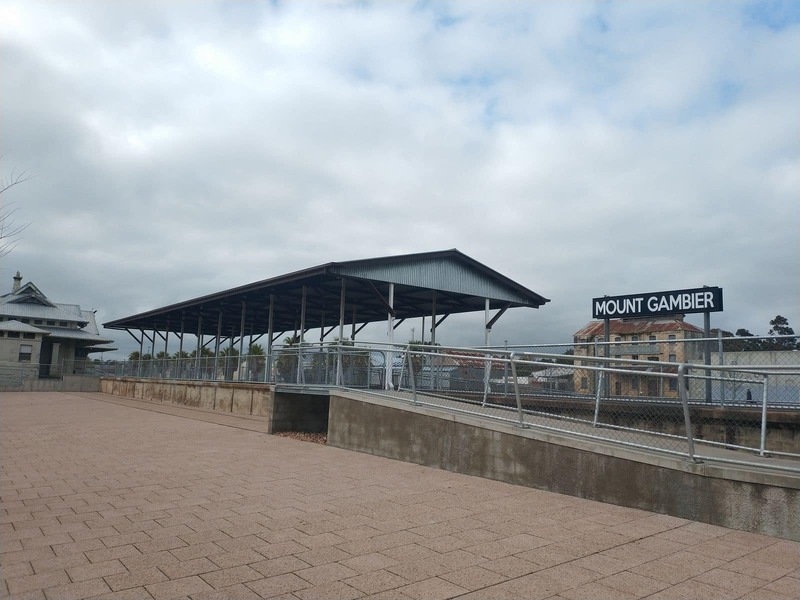 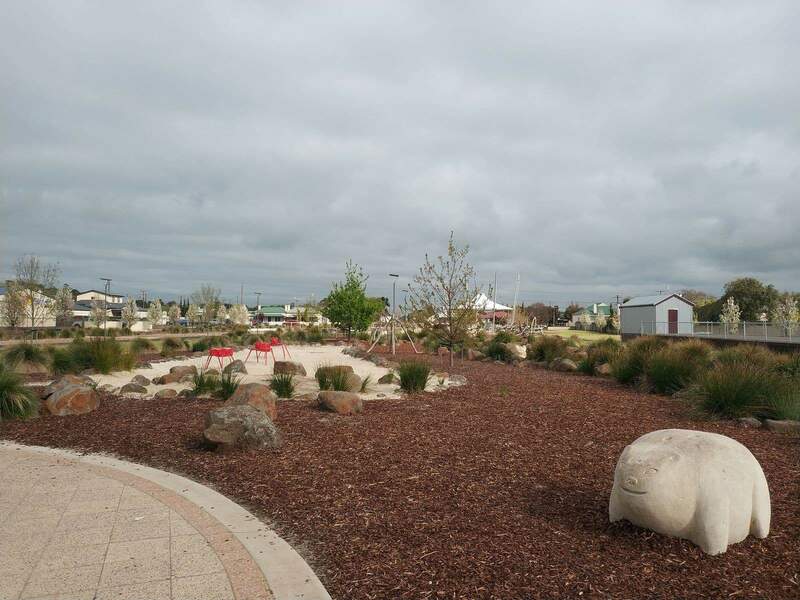 The Railway Lands Nature Play Area is located in the heart of Mount Gambier.